Exaggerated coverage of a dubious report by the International Atomic Energy Agency about Iran’s alleged nuclear weapons program has spurred a rush toward a new war in the Middle East, but ex-U.S. intelligence officials urge President Obama to resist the pressures and examine the facts. As professionals with collectively hundreds of years of experience in intelligence, foreign policy, and counterterrorism, we are concerned about the gross misrepresentation of facts being bruited about to persuade you to start another war. We have watched the militarists represent one Muslim country after another as major threats to U.S. security. In the past, they supported attacks on Sudan, Somalia, Yemen, Iraq, Pakistan, Libya and Afghanistan, as well as Israel’s attacks on Syria and Lebanon — nine Muslim countries – and Gaza. This time, they are using a new IAEA report to assert categorically that Iran is building a nuclear weapon that allegedly poses a major threat to the U.S. Your intelligence and military advisors can certainly clarify what the report really says. As you know, the IAEA makes regular inspection visits to Iran’s nuclear facilities and has TV cameras monitoring those facilities around the clock. 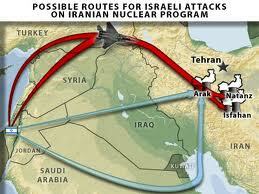 While there is reason to question some of Iran’s actions, the situation is not as clear-cut as some allege. Mohamed ElBaradei, a Nobel Peace Prize recipient and former IAEA director-general, said recently, “I don’t believe Iran is a clear and present danger. All I see is the hype about the threat posed by Iran.” He is not alone: All 16 U.S. intelligence agencies concluded “with high confidence” in a 2007 National Intelligence Estimate that Iran had halted its nuclear-weapons program as of 2003. Your military and intelligence experts can also provide information on unpublicized efforts to derail Iran’s nuclear program and on the futility of attempting to eliminate that program – which is dispersed and mostly underground – through aerial bombing. Defense Secretary [Leon] Panetta and other experts have stated that an air attack would only delay any weapons program for a year or two at most. Dagan pointed out another reality: bombing Iran would lead it to retaliate against Israel through Hezbollah, which has tens of thousands of Grad-type rockets and hundreds of Scuds and other long-range missiles, and through Hamas. We are already spending as much as the rest of the world combined on National Security and $100 billion per year on a Long War in Afghanistan. 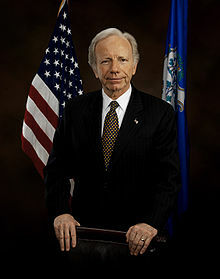 The Israel lobby has been beating the drums for us to attack Iran for years, led by people with confused loyalties like Joe Lieberman, who once made the claim that it is unpatriotic for Americans not to support Israel. What we have is a situation where Israel’s actions, for example in sending 300,000 settlers into the West Bank and 200,000 settlers into East Jerusalem, are compromising U.S. security by putting us at risk for terrorist retaliation. We have provided Israel with $100 billion in direct aid since 1975. Since this is fungible, how has funding settlements contributed to our security? You agreed to provide $3 billion in F-35s to Israel in exchange for a 90-day freeze on settlements. What you got was 90 days of stonewalling on the peace process and then more settlers. What more do we owe Israel? Certainly not a rush to war. We have time to make diplomacy and sanctions work, to persuade Russia and China to make joint cause with us. We are currently winding down what you labeled a “dumb war;” we should not undertake another dumb war against a country almost three times larger than Iraq, that would set off a major regional war and create generations of jihadis. Such a war, contrary to what some argue, would not make Israel or the U.S. safer.